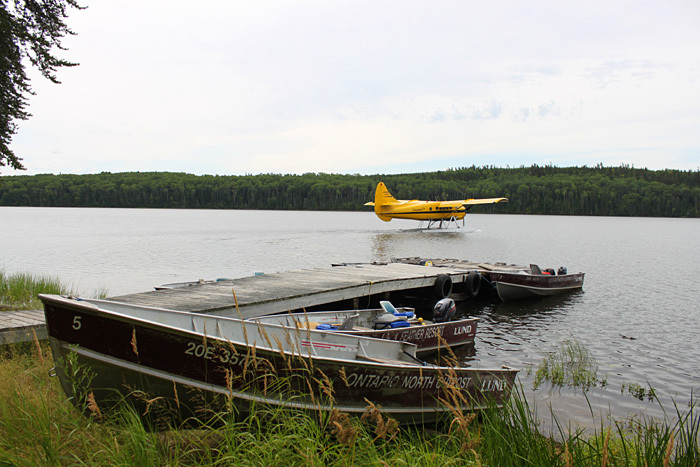 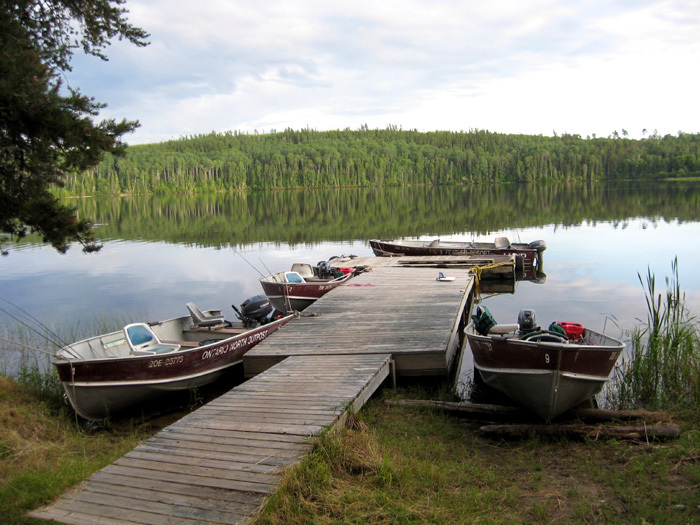 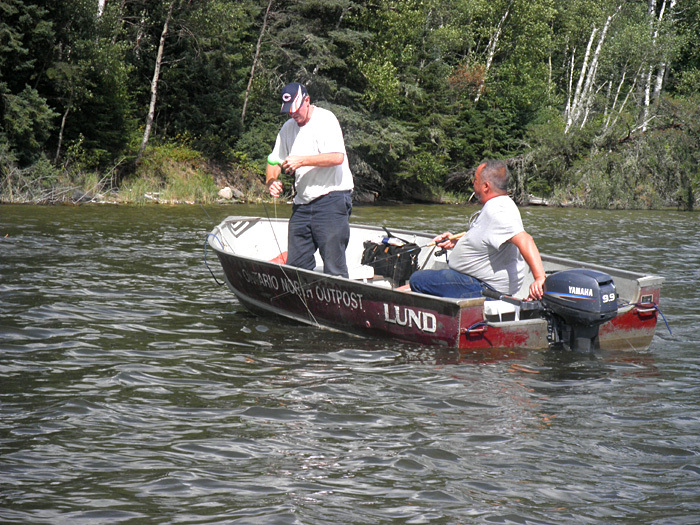 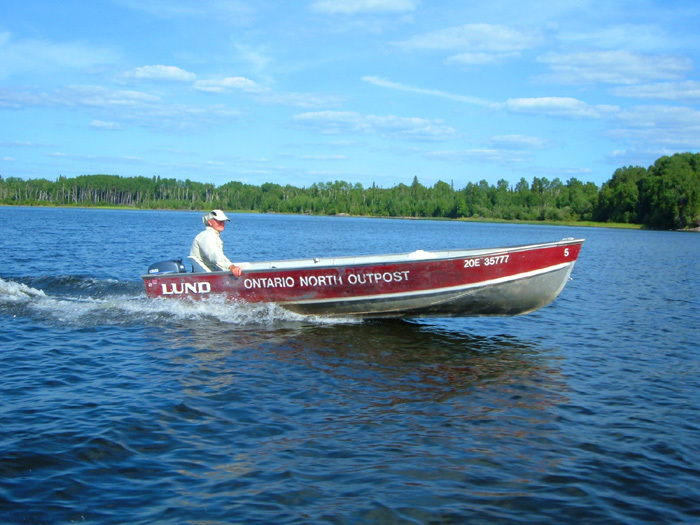 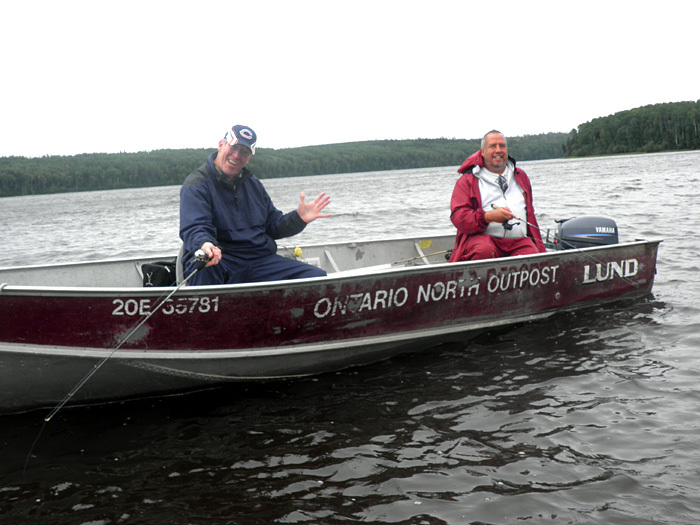 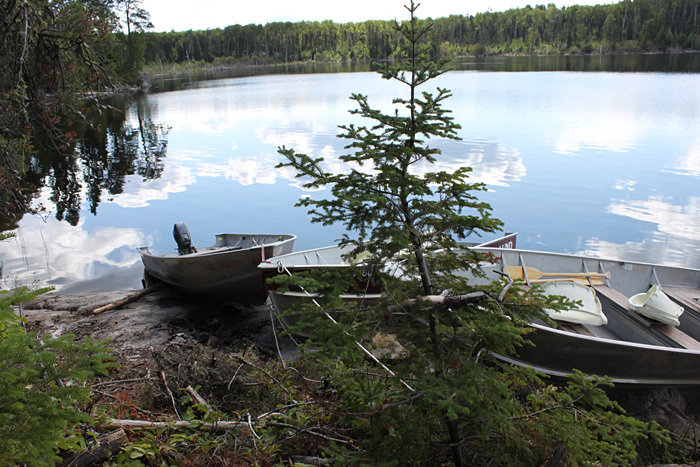 Vaughan Lake & Lynx Lake outposts are equipped with new dependable 16' extra wide Lund boats with new 9.9hp and 15hp Yamaha motors. 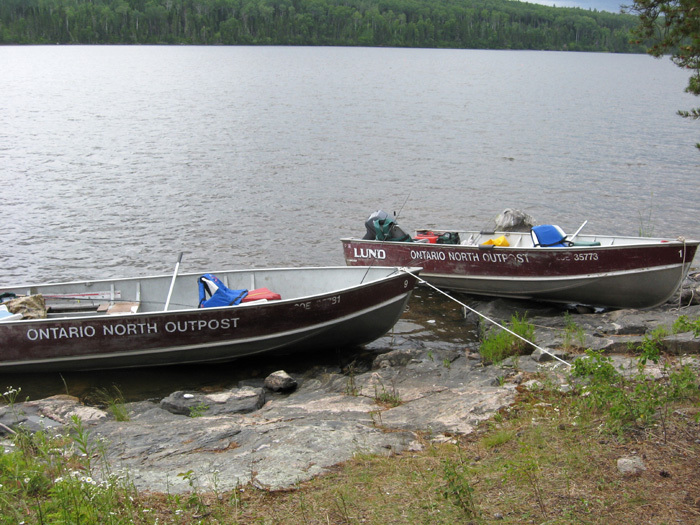 The boats are large enough for 3 people and all their gear. 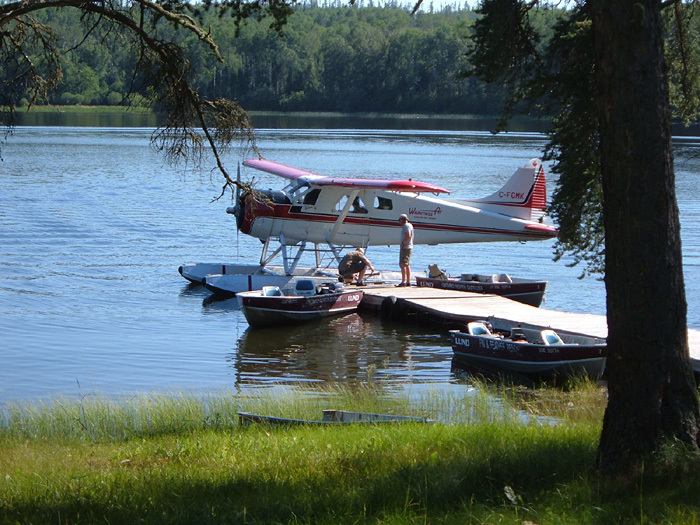 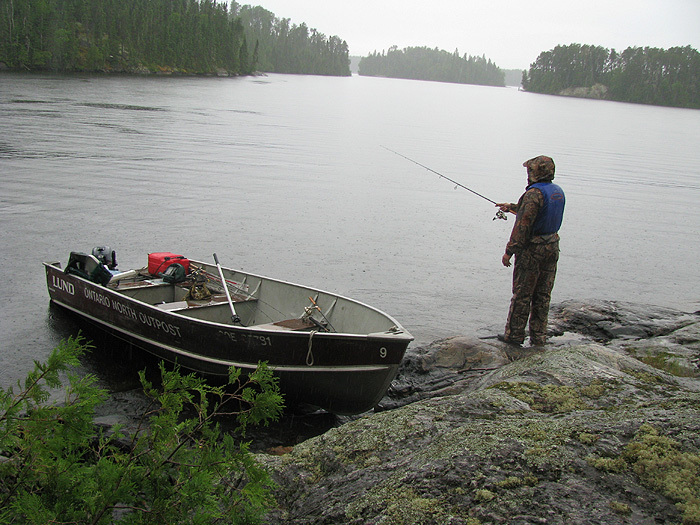 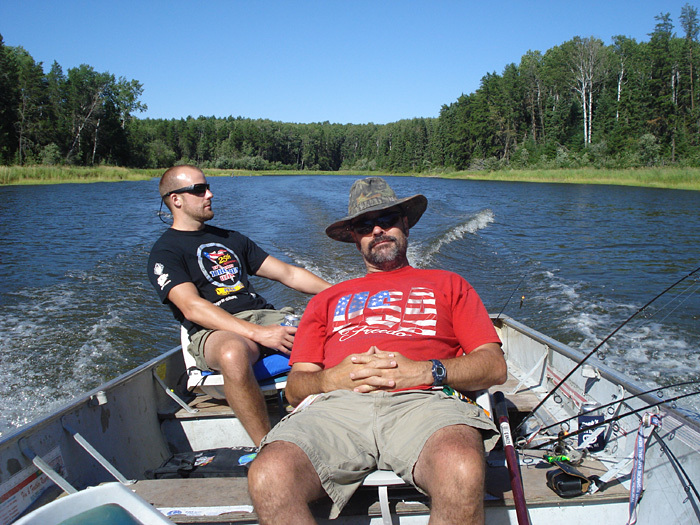 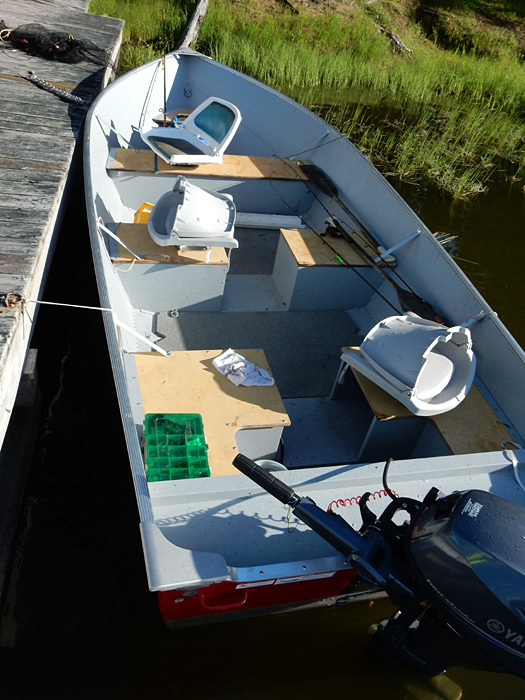 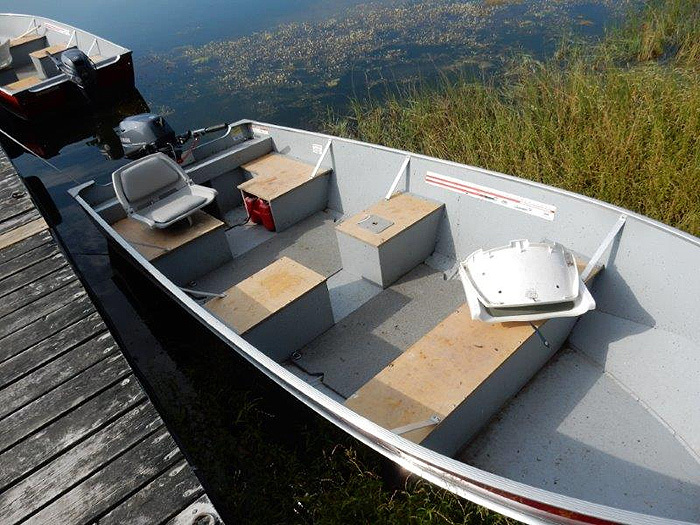 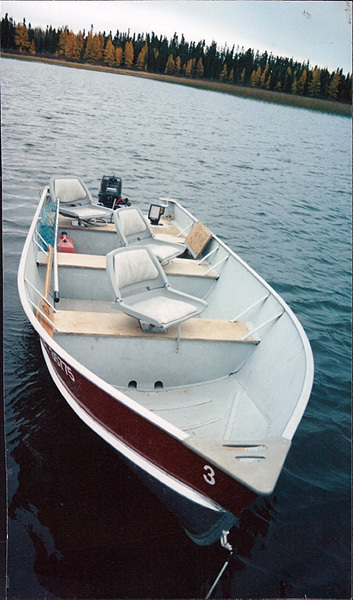 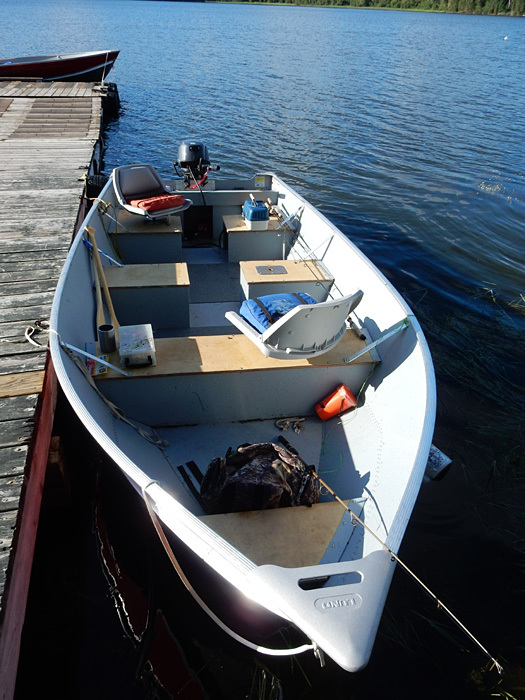 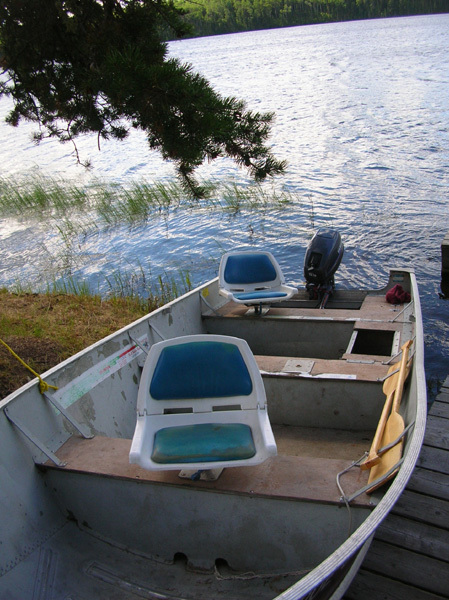 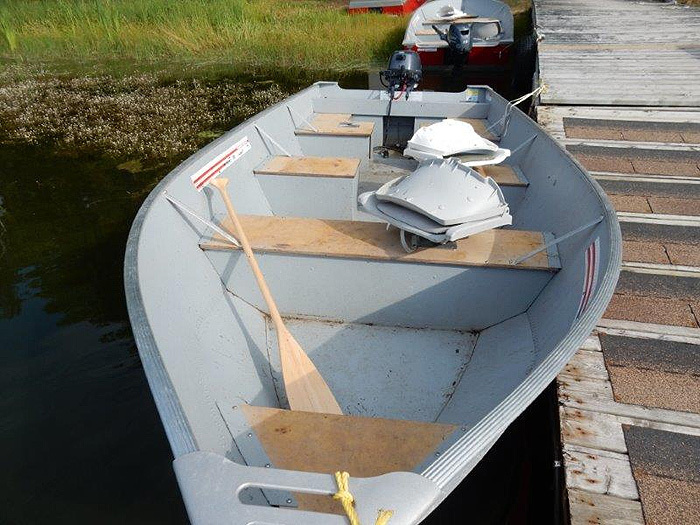 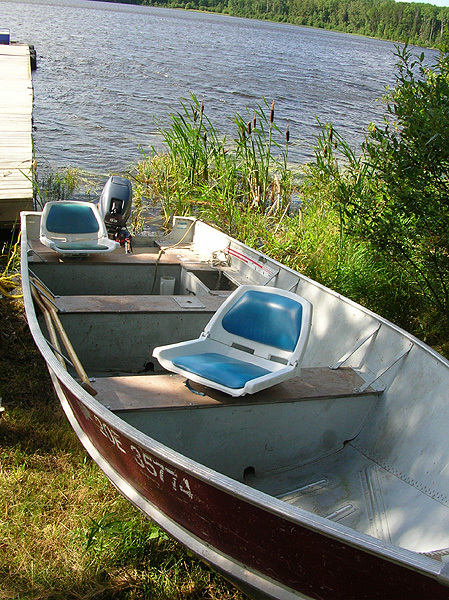 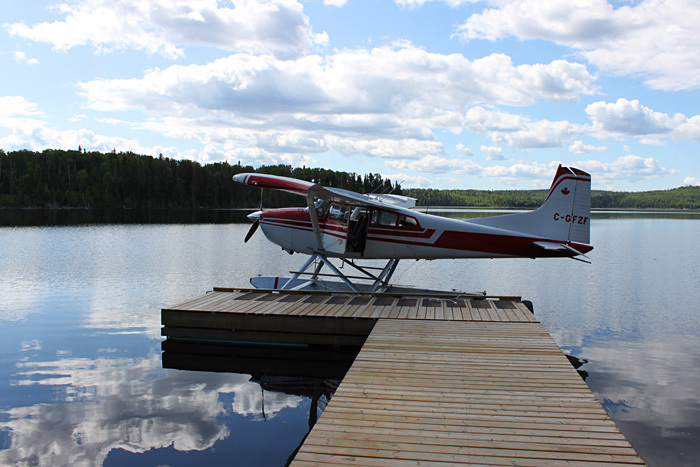 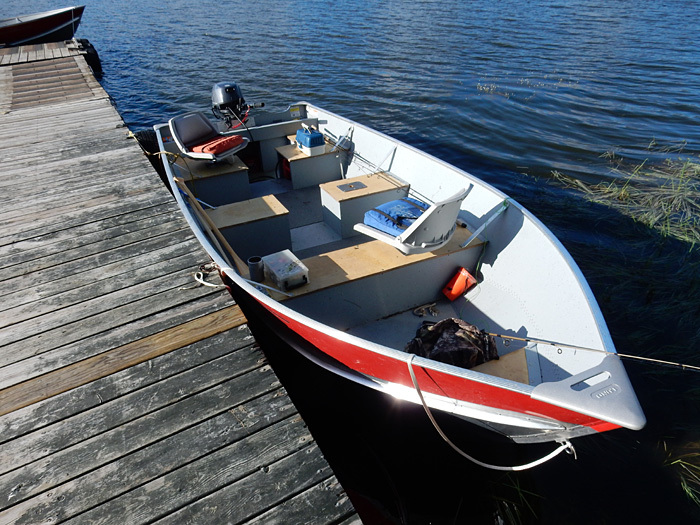  Each boat is equipped with swivel fishing seats, nets, life cushions, minnow buckets, and paddles. 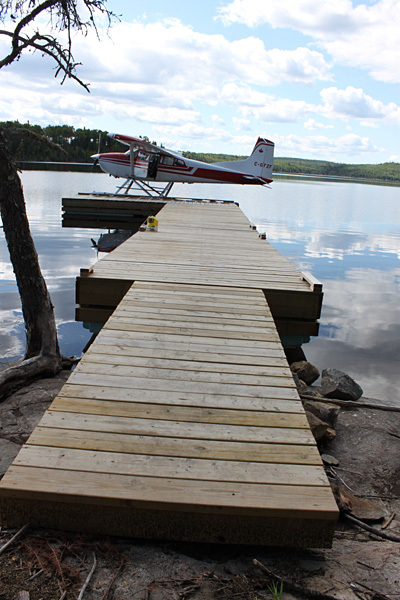 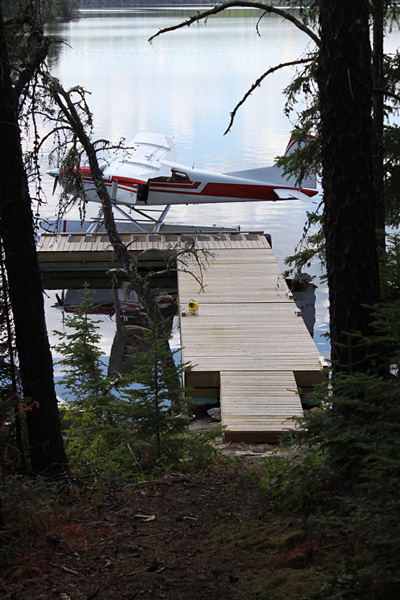 We have new docks. 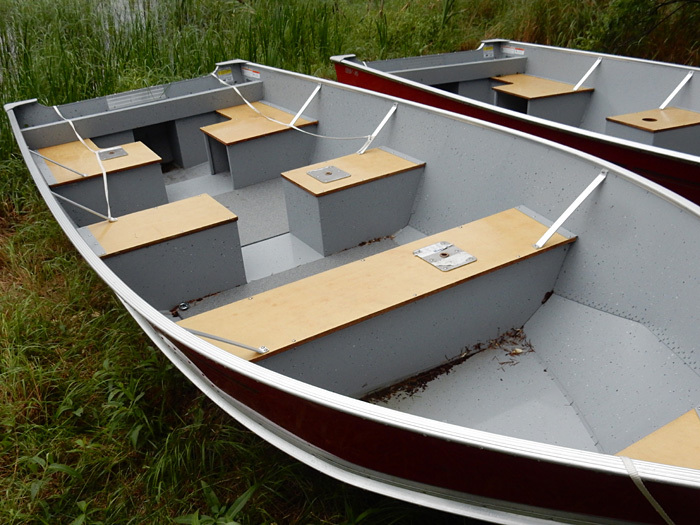 They are solid and sturdy and not too high so getting in-&-out of the boats is easy. 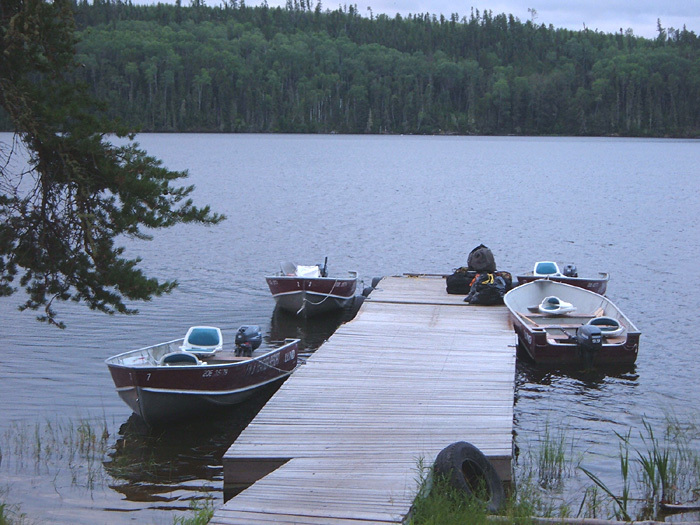 The new docks are also good if you have someone in your group with physical challenges and has a hard time getting out of a low boat. 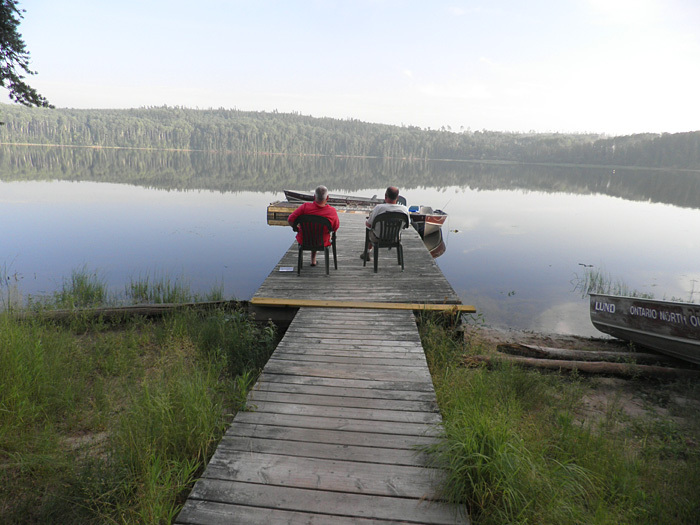 Some of the photos below show the old docks.